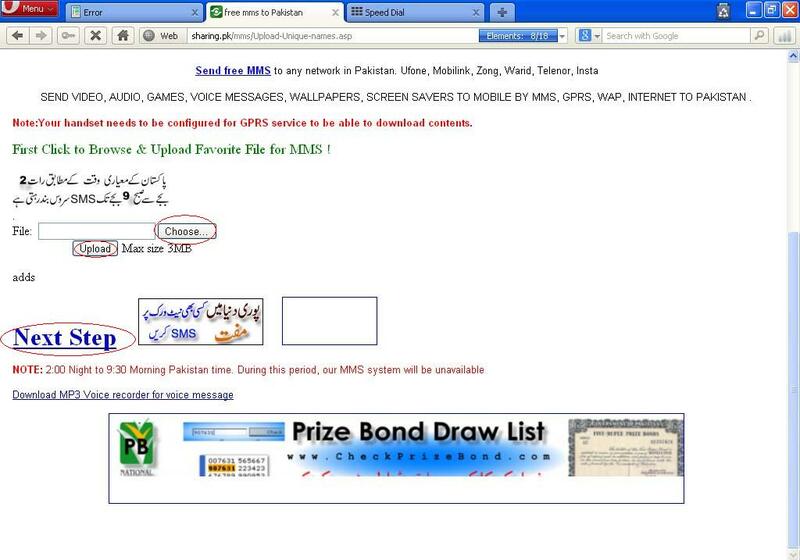 Friends If you want to send free mms then for pakistani users today I got a website where you can send Free and unlimited MMS. so i want to share it with you too. Sending MMS on this site is very easy and free You will no need for sign up or registration, you can also upload your files(pictures.video other files etc) from mobile and can share it with your friends, relatives etc. Your file should not be above 3mb. 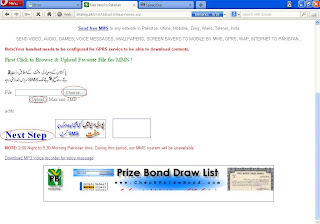 No charges will be apply for sending MMS from this site you have just to activate Gprs package on your network operator if you using internet from mobile, and then go to the site. Sending mms from this site is very easy just follow these instructions. The site where you will send Free mms is here, Click Here. 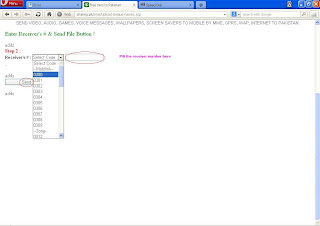 Now navigate below to the upload file area as given in the below picture. click on browse, browse your file then click on upload. Wait to upload the file then click on NEXT STEP. Now your mms sent. Enjoy and keep visiting this site for more tricks and tips. Please share it on fb or tweet on twitter by clicking on the buttons given below.